Talk about a book hangover! I have spent the last few days trying to sort through all the emotions and feelings this book evoked in me. 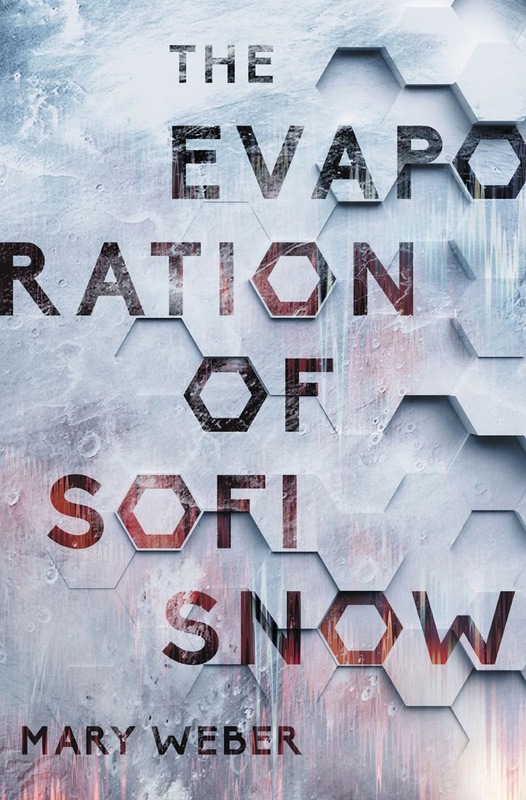 Sofi Snow is a young woman with a lot of confusion about her self worth. She has had her fair share of rejection in life. Miguel had been satisfied with his life...that is until he met Sofi. As their lives get thrown into a web of lies, deceit, blackmail, and hidden agendas. Will Sofi and Miguel be able to push their past aside and work together for the future of Earth and all of its inhabitants? There is SO MUCH that happens in this book. It started off fast paced and ended with a major cliff hanger in the middle of a VERY INTENSE scene. (We do get a little breather from all the action in the middle of the book.) Between Sofi's struggle to find herself, Miguel's determination to be a "new man", and the whole mess with Shiloh...My brain was on overload. There were a few aspects to the story that still sit uneasy with me regarding Sofi and Miguel's past. 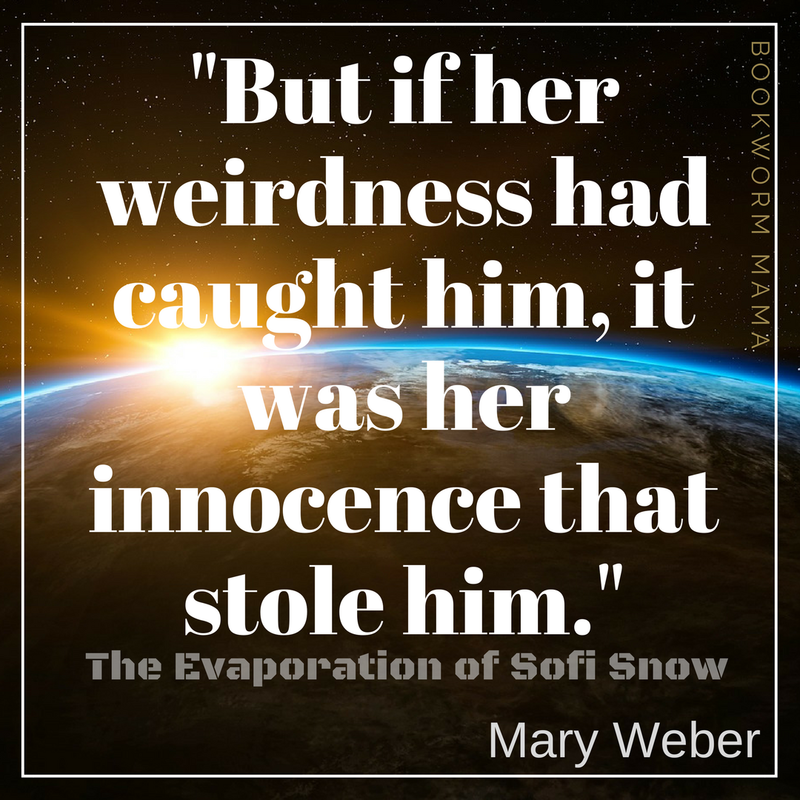 I do think the situation calls for the background our characters have and I am curious to see how Mary Weber addresses this and where she takes them in the next book. One of the main themes in this story is Human Trafficking. I commend Mary for addressing the very real and very serious issue that has been swept under the rug for too long. To hear her heart, you will want to read this book! I look forward to reading more from Mary and finding out how Sofi's story ends. I received a complimentary copy of The Evaporation of Sofi Snow from Thomas Nelson through NetGalley. I was not required to write a positive review. All opinions expressed are mine alone. The copy of the book I read is an ARC. All quotes taken from this edition, not the final copy. Thank you to Just Commonly for hosting this fabulous Blog Tour! 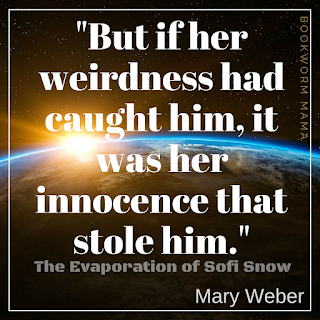 (3) Winners will each win a finished hard copy of The Evaporation of Sofi Snow by Mary Weber, courtesy of Thomas Nelson Publishers. Giveaway ends on May 26, 2017, 11:59 PM EST. I have heard so many awesome things about this story! I am curious as to what from her past made you feel uneasy, but it sounds a fast-paced read with some topics that are important. The long and short of it would be her "love" life. Not descriptive details or anything. But, Sofi is known to be "wild and free" and it was just kind of brushed over in this book, like it was no big deal. However, I have since learned that this will be addressed in book 2. I hope that makes sense! Trying to keep it spoiler free lol! And it is a good one! Looking forward to the next one! Totally agree on this point. So no worries, Laura, it will be addressed come book 2, but the question is, HOW FAST can book 2 come? Oh my pleasure! Super excited to be a part! Thanks for the new insight into this book. I'm looking forward to reading how this author deals with such difficult issues. Book hangovers are few between for me lately so this sounds excellent. I have this one. Looks like this is getting bumped up higher on the TBR! Thanks for sharing!